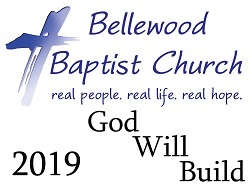 Looking forward to what God is going to do in and through Bellwood this year. A journey through the Gospel According to Luke. Guest preachers share from their experience with God and His word. Sometimes it is easy to just settle. To be satisfied with good enough. But can that be how God wants us to live? God has great expectations for us - expectations that will cause us to live the wonderful life He has planned for us. 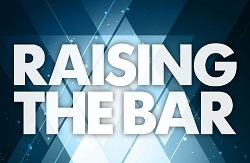 So let's look together at God's expectations and learn about Raising the Bar in the lives we live for Him. 'Be still and know I am God.' We're going to take the time to be still and look to the stories of our God in the Bible and hopefully find ourselves in AWE of our amazing and wonderful God. We'll look at what we get right about prayer, what we get wrong, and how to most of all find out what prayer is really all about - a conversation with our Heavenly Father. A Wrong Way to Pray? 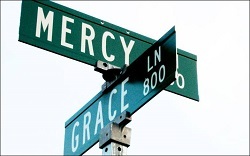 Let's explore the wonderful gifts we find at the intersection of God's mercy and God's grace. How can we turn our lives toward God to give Him the glory? Join us as we explore scripture to find how to live a God directed, joyful life. None of us are perfect. We know that. But what do we do about it? Read self help books, hit the gym, take some classes. While those might be good, there is a great growth for us - a growth that helps us become who God has made us to be. God gives us both the desire and the resources to become that person. 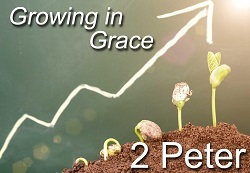 Let's look together at 2 Peter as we seek how to Grow in Grace. 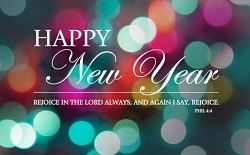 Let us welcome in the new year looking to our God for joy and hope for our future. 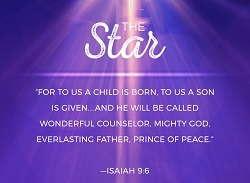 Join us with those who made it to the birth of Jesus as we Journey to the Star and find the gifts God gave us at Christmas. We want to reach out to our neighbors. We want to help them find hope. But what do we say? What hope do we have to offer? The only real hope, the only real answers we can offer are found in Christ. Let's explore together what life in Christ we can live and how we share that with the world around us. The news is filled with stories of war and hatred and pain from around the world. The stories can sometimes be so huge and so tragic that we can be blinded to the brokenness that surrounds us in our neighborhoods. But what can w about it? How can we make a difference? 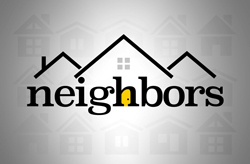 Let's explore together how we can love and serve our neighbors, bringing them hope in Jesus. Nearly sixty times in the New Testament we are given instruction about how to treat 'one another.' 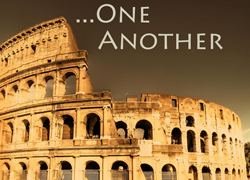 In this series we'll focus on the 'one another' passages we find in the book of Romans. Together we'll look at how we can live with and love one another and build with God an even more incredible and loving fellowship in our church. Our 2017 Vacation Bible School kickoff message. Messages from guest speakers in our Sunday Worship Celebration. One of the greatest gifts God gives us is His church. So what is the church? What is it supposed to be? How do we find God and live our faith through the gift of His church? Join us as we seek to Grow Closer and find our place in God's church by looking at the birth of the early church in the book of Acts. 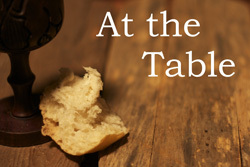 We celebrate the Lord's Supper once a month at Bellewood. What does it mean when we do celebrate it? Who is with us at that table? Throughout 2017 we'll look at the gathering at that table as we look at Going Deeper, Growing Closer, Reaching Further. A lot may be known or understood about someone from hearing their last words. What was important to them, who mattered to them is often emphasized in those final moments. 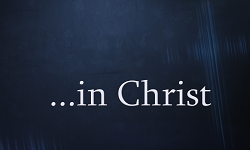 As Easter approaches, we will explore Jesus' final words from the cross. In those words we will discover some of the most wonderful truths about our Savior. Everyone has their own opinion and their own plan and their own practice on how to really get closer to our God. After all, that should be the core of our very life and very being. But is there just one way? No. But looking into Scripture will give us the place to start. Let's look together at 1 John and see how loving what God loves can draw us closer to our Father. Parties - Decorations - Drinking - Cookies - Shopping, Shopping, Shopping! - Is this what makes a good Christmas? A great Christmas? Well, let's not settle for good or great. 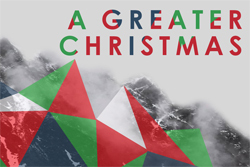 Let's look together how to have A Greater Christmas that can only be found in Jesus. Well, we know we're supposed to be thankful this time of year. But how? 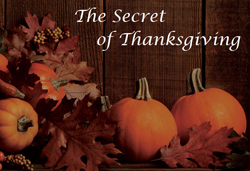 What is the 'secret' to truly being thankful to God this Thanksgiving? 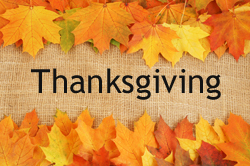 Join us as we seek to have a thankful heart this holiday season. Celebrating God's gift of batism with our friends of The Neighborhood Church and Pastor Ronnie Wyatt. And it's that time again. 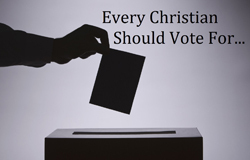 How do citizens of God's Kingdom live and vote as citizens of our nation. 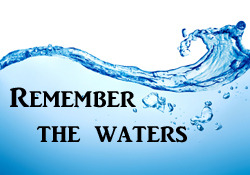 Let's look to Psalm 146 for one way to navigate this time in our history. Peanut butter and jelly. Popcorn and movies. Milke and cookies. Some things are just better together. Well, that's true of church as well. God put us together for a reason. He created us and knows that we do so much more and so much better when we're working together. Let's explore how we are so much better together in His church. It's not quiet. It's not peaceful. It's not safe. It's a collision when the King brings God's kingdom to meet the kingdom of earth. Mark tells the story in the Gospel of how our King brings His Kingdom of life and hope to all of us. Going beneath the surface to explore how God sees us and how He calls us to see others. At many times and in many ways, fear can get in the way of what God wants for us. But the call isn't to be fearless in the face of the world; that can be dangerous. 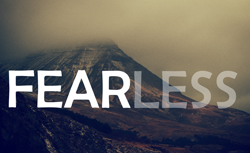 But to obe who God wants us to be, we must fear less. Join us as we look at some Old Testament characters and see how God helped them fear less so they might be who He called them to be. Our pastor returns home after his seven week chaplaincy training. Messages given by guests speakers at Bellewood during our Sunday Worship Celebrations. Every time we close out the year and prepare for another, it seems like we have to think through, measure, and evaluate how well the last year went and what we have to fix for the next year. So many times if feels like we just never accomplished what we thought we should. Every year HAS to be better than the last. But is that how God looks at things? Let's explore that together and we look forward to a new year. There is just so much to do this time of year. Organize parties, go shopping, bake cookies, invite relatives, volunteer for helping agencies, or work really hard at avoiding all of this. Either way, this time of year keeps us busy and can overwhelm us. And sometimes church is no safe haven - we fill all the time of this season with special services and practices and projects. So let's stop together for a moment and....just breathe. 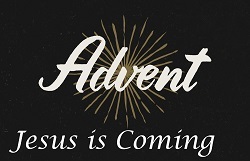 Let's slow down and look again at the Christmas story, boiling it all down to four words; four words spoken by an angel on that first Christmas. 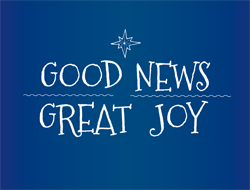 Let's relax and hear again the GOOD NEWS of GREAT JOY. Were you ever forced to say 'thank you' when you were a kid. How much did you mean it when you finally gave in and said it? Right, not much real gratitude there. So why do we try to guilt people into giving thanks each year at this time. What does real thanksgiving mean and how can we not just say 'thanks' but truly be thankful. Let's find out together. Jesus spoke of a solid foundation on which to build our lives. A book, THE BOOK, but so much more. Join us in our message series, SOLID, as we explore why God gave us the Bible and how to make it the foundation of our lives. Overworked. Overwhelmed. Burned out. We all face this and it might just be because we have forgotten one of God's great gifts - the Sabbath. It's not just a day of going to church or a day of doing nothing. Instead, it is a day to recharge, refresh, and reconnect with God. 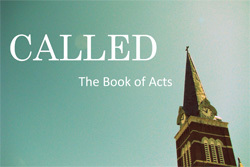 In this message series we'll look at how we can reclaim God's Sabbath for our lives today. The animals marching two by two. The giant boat. A beautiful rainbow. The story of Noah and the flood has become little more than the inspiration for cute nursery decorating ideas. But the story holds so much more. Join us as we find pain, grace, and hope in the story of Noah in our Through the Flood message series. As complicated as life's questions might be, it is possible to simplify who we are and why we are here when we look to God. Join us as we find those simple (but not easy) answers in our message miniseries, Saved and Serving. 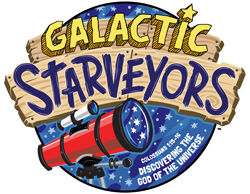 Join us as we Journey off the Map for this year's Vacation Bible School.